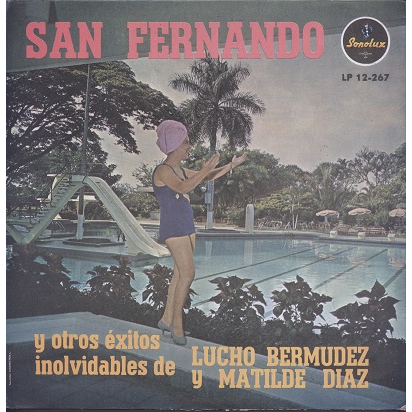 Vintage 50s recordings by veteran Lucho Bermudez. Top notch Cumbia, Porro and Bolero featuring Matilde Diaz on the vocal tracks. 70s Colombian repress. Clean sleeve with light age wear. Discret owner's name on labels. Solid VG+ record plays with occasional surface noise -mostly due to original recording quality.